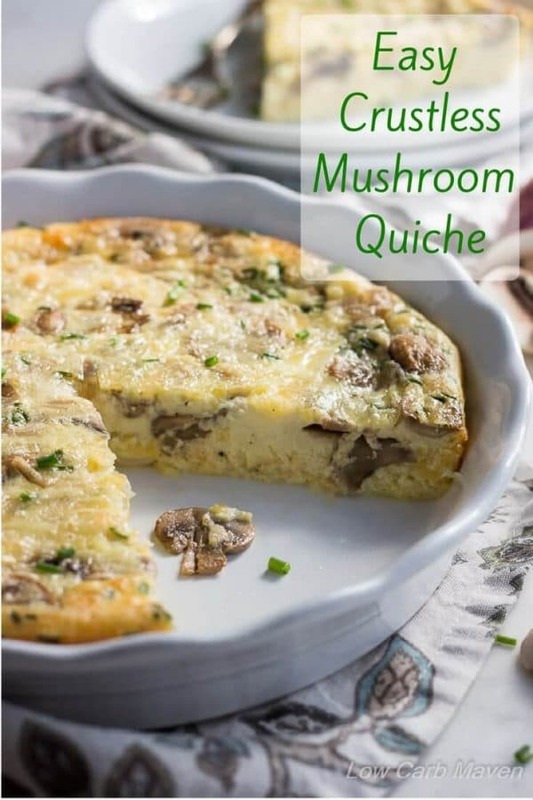 An easy low carb crustless quiche with mushroom with perfect custard texture and nice rich flavor. It’s a great breakfast option for rushed mornings or a nice lunch with a friend. 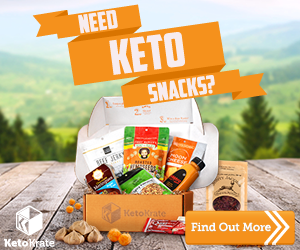 Low carb and ketogenic recipe. I have some stand out quiche recipes on this blog – my most popular being a easy crustless quiche with spinach and bacon. 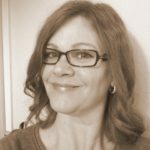 Then, I have two large quiche recipes perfect for brunch: Ham Quiche Lorraine and Ham and Arugula Quiche. If you need something portable, check out the spinach feta quiche muffins. They taste amazing – really. But, if you are looking for a mushroom quiche with a luxurious custard texture and a rich smoky flavor, this is the one. Now, I admit to being a mushroom lover. I love them stuffed with spinach artichoke dip. and as a base for super cheesy portobello burgers. I even love them sauteed in butter and thyme or even a good green bean mushroom saute. Tossing mushrooms in Indian spices and roasting them in the oven is sublime. You see where I’m going here? I have a lot of easy mushroom recipes on the blog. 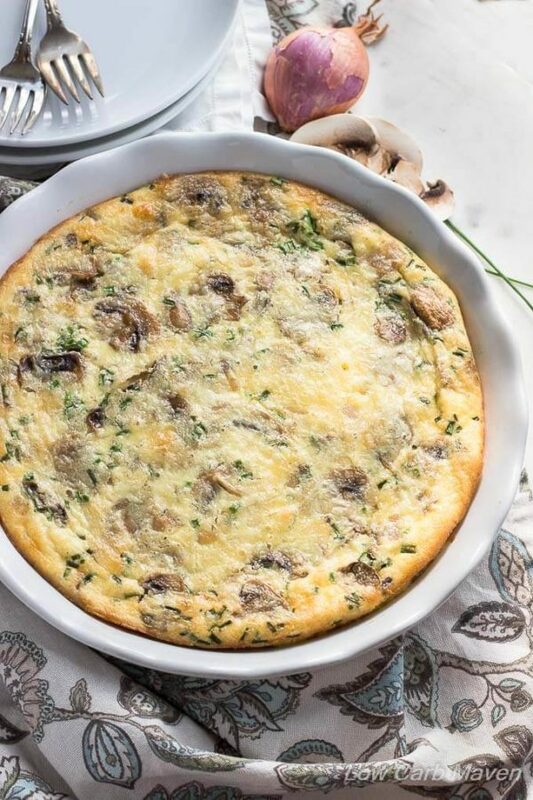 There’s something special about the flavors in this low carb crustless quiche with mushroom recipe. Usually, I’ll add a little fresh ground nutmeg and thyme to a quiche recipe like this. However, keeping the ingredients to a minimum this time let each ingredient shine. I’m sure we can all agree that quiche with a flaky crust, even a nice low carb crust, is a beautiful thing. But sometimes I just want an easy quiche recipe and that means crustless! Who wants to fool with making a crust for quiche every time? Not me. And nixing the crust keeps it low carb and lower in calories. 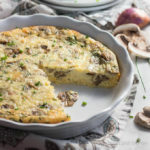 This easy low carb crustless quiche is full of mushrooms, sauteed onions, and smoked gouda cheese. Layering the ingredients in the dish prevents them from sinking to the bottom, ensuring an even distribution of ingredients throughout the custard. The salty-buttery smoked gouda cheese provides enough richness that the crust won’t be missed. [TIPS] If you want to bump up the flavor saute the onions with a sprig of thyme or some white wine. It will produce a subtle flavor that won’t overpower the delicate custard. Adding just a little grated nutmeg lends a sweet-spicy flavor which enhances the richness of flavor. Lastly, the addition of Dijon mustard (1 tsp) adds a little sharpness to cut the richness of flavor. This Easy Low Carb Crustless Quiche is 5 net carbs per serving. 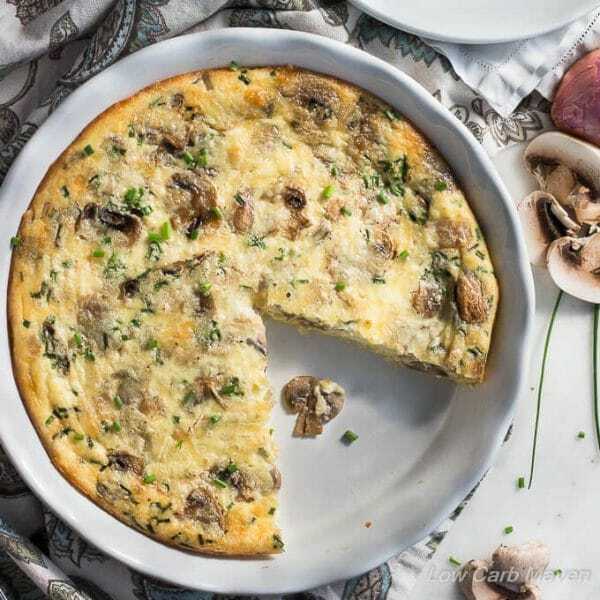 An easy crustless mushroom quiche with perfect custard texture and nice rich flavor. It's a great breakfast option for rushed mornings or a nice lunch with a friend. 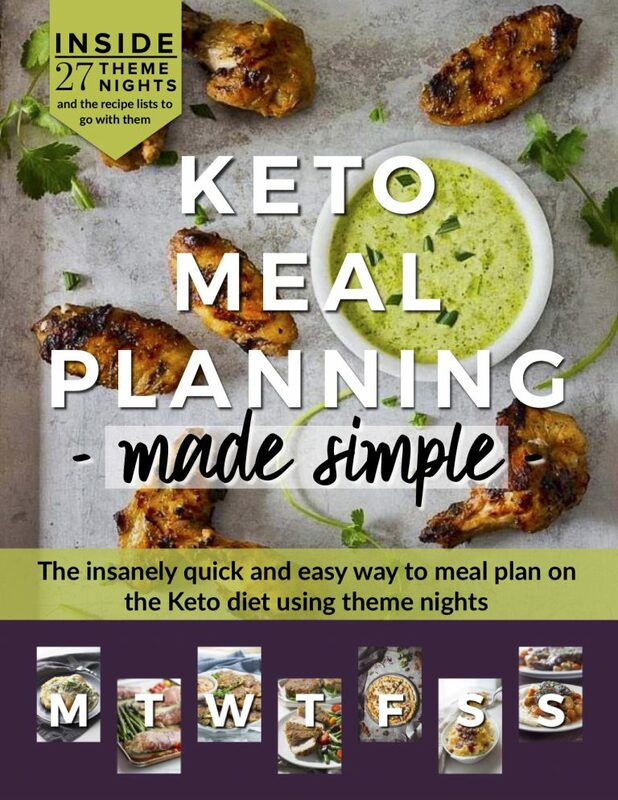 Low carb and ketogenic recipe. Preparation: Preheat oven to 375 and place rack to the middle position. Spray a 9-inch pie dish with baking spray. Mince the shallot or onion. Snip the chives. Grate the cheese. Method: Heat a saute pan over medium heat and when hot, add 2 tbsp butter and the sliced mushrooms. Stir to coat the mushrooms. Saute for two minutes, then stir and saute 1-2 minutes more or until some of the moisture has been removed. Transfer to a small plate to cool. Place the saute pan back onto medium heat and when hot, add 1 tbsp butter and the onions. Stir to coat the onions and saute until softened. Remove from heat. Add the eggs, heavy cream, water, salt and pepper to a medium bowl. Beat at high speed until combined and frothy. Layer: Add 1/3 of the cheese to the bottom of the pie dish, spreading it so that it is even. Arrange 1/2 of the onions, 1/2 of the mushrooms and 1/2 of the chives evenly over the cheese. Add another layer of cheese, followed by the rest of the onions, mushrooms and chives. Slowly pour the custard over the ingredients. Top with the remaining cheese. Bake: Bake for 15 minutes at 375, then for 15 minutes at 350 or until the top is browned and the middle is just set. It may puff up a bit. Let cool to room temperature before serving or cover (after cooling) and refrigerate until needed. NOTE: If you have a convection oven or a hotter oven, you may need to adjust cooking temperature and time. Can’t wait to make. Thank you! Thanks for a DELICIOUS recipe. I’ve made it twice now. My only complaint the first time was that there was liquid puddling after you take a slice out. The 2nd time I made it, I left out the 1/4 cup water and there was no puddling. Big hit at my brunch the other day. This quiche is wonderful, Kim! I recently found out I’m diabetic and this will be a great addition to my new diet. I made this and it is to die for, it’s so good! Can’t wait to pick up some more mushrooms to make this again! I’m so glad you like it, Elaine. My wife will be making it today, It would be great to have the NUTRITION FACTS per 100g, or to know the weight per serving. Could you please provide the rest of the calorie/protein/carb information for this dish? Hi Kim, I made the quiche for dinner last night! Absolutely amazing! Sadly no leftovers. Husband and kids approved!! ? 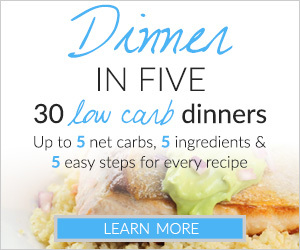 Hi there: Looks great …but just wondering if something other than Heavy Cream could be used …? and not sacrifice richness? Would buttermilk work in your opinion? I’d like to make up any potential dairy fat deficiency with an elegant salad with nuts ….? Thanks for the half-and-half/buttermilk suggestion. We really like the tang of buttermilk which I think will accentuate the flavor of the smoked gouda. Happy camper here. What’s a good substitute for the smoked gouda? I have all the ingredients at home except that! Grr. Would mozzarella work okay? How many eggs? This looks divine!